Volcano Art Center is proud to announce the exhibition Worldwide Voyage: Hawai’i Shares Its Culture With The World. 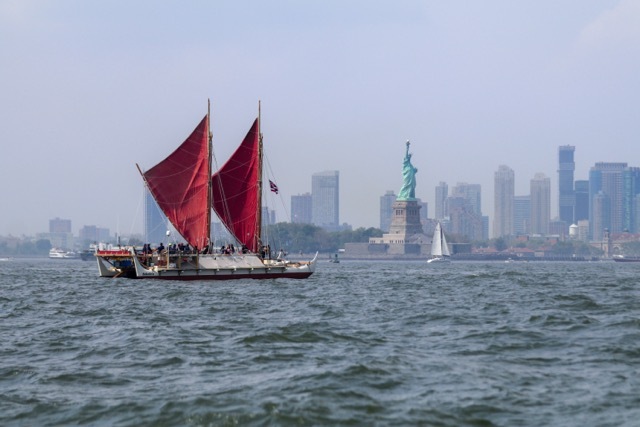 This fine art exhibition presents the navigational story of the Hōkūleʻa’s Mālama Honua Worldwide Voyage, told through photographs, cultural items and art inspired by the voyage. The exhibit will be open to the public on May 20th through July 2nd at the Volcano Art Center Gallery in Hawai’i Volcanoes National Park (U.S. National Park Service). 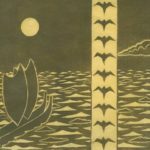 The public is also invited to attend a special reception with the artists and navigator Kālepa Baybayan, who is also the navigator in residence at the `Imiloa Astronomy Center of Hawai`i in Hilo on Friday, June 30th from 3-5pm. The event is free, however park entrance fees apply. The exhibition on display consists of a collection of mounted photographs, cultural items, and art curated by Gary Eoff. 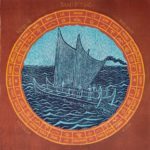 The photographs provided by the Polynesian Voyaging Society offer a first-hand account of the navigation, ports visited and the stories of the individual navigators. 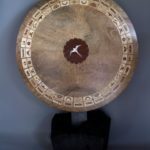 The cultural items, made by Ed Kaneko and his students, as well as Gary Eoff illustrate primitive wayfaring methods and supplies used on ancient voyages. A few of the items on display traveled on the canoe to The Smithsonian National Museum of Natural History as part of the voyage. Art work including a star compass table by David Reisland and wood bowls by Cliff Johns will also be on display. “Volcano Art Center wishes to extend a huge mahalo the for sharing the visual story with us,” states Gallery Manager Emily C. Weiss. 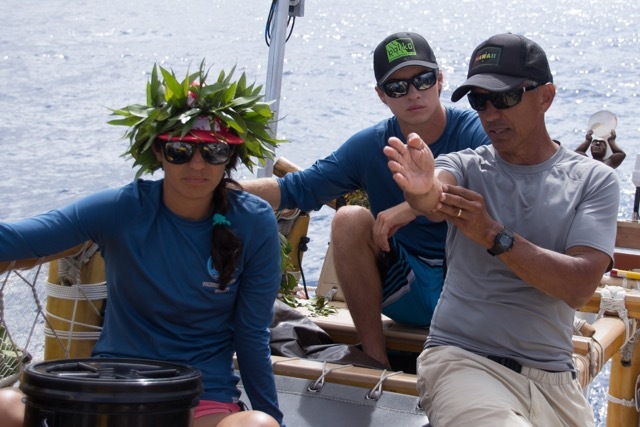 “Their mission to perpetuate the art and science of traditional Polynesian voyaging and the spirit of exploration through experiential educational programs that inspire students and their communities to respect and care for themselves, each other, and their natural and cultural environments, is truly something we support,” continues Weiss.